The early bloomer and a sign of spring in many areas is the lilac. Lilacs are known for their fragrance, beauty, long life span, and for needing little maintenance. 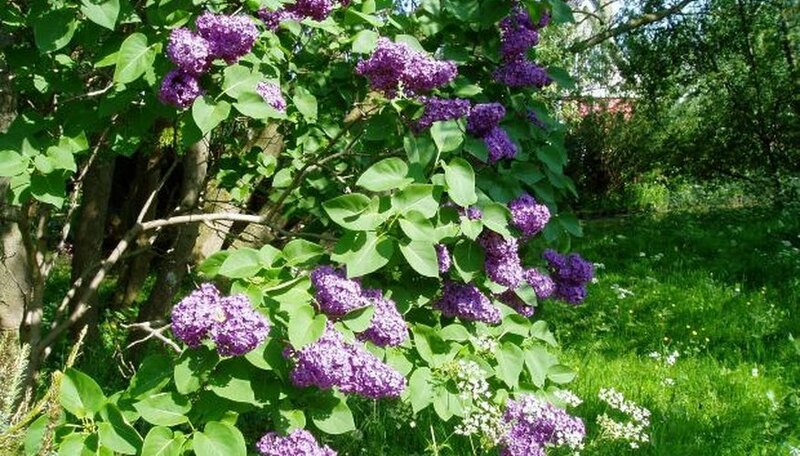 Caring for a lilac tree is simple. The tree typically requires tending only once a year. You’ll always know if you have a happy lilac because it is not shy about showing its growth. When the tree has no blooms it continues to provide shade and graceful lines in your yard or garden. Select a location for your lilac that doesn’t tend to stay wet for long. A hillside or on an area where you know there is good drainage is good. Lilacs live for more than 100 years, so you’ll need an area which will go unchanged over time. Fertilize your lilac every spring, preferably in early spring rather than mid- to late spring to fuel growth and flowering. Give the tree a second dose, if desired, after the blooms have died off to encourage the growth of buds for next year. Cut off the dead flowers at their base as soon as they are spent. Because lilacs begin working on the next year’s buds immediately, removing the old blooms will keep the plant from spending energy on the dead flowers and focus on new growth. Add mulch around the base of your lilac two to four inches deep. This will keep weeds from growing and absorbing the available water, while also not preventing new lilac shoots from coming up. Remove branches every three to five years by pruning where they separate from the main trunk or just above ground level. You’ll want to leave a few strong stalks every year when you prune so you will have more productive bloomer the following year. Plant new lilacs by propagating a shoot that is growing away from the main trunk. Dig until you see the roots and sever them to free the shoot. Plant the separated shoot in a similar soil and location as the parent. Add compost and water consistently until you see new growth on the shoot. Avoid diseases and increase blooming with regular pruning. The lilac tree tells you when to prune by blooming only once a year, but if necessary, write a reminder on your calendar so your lilac stays happy and healthy.